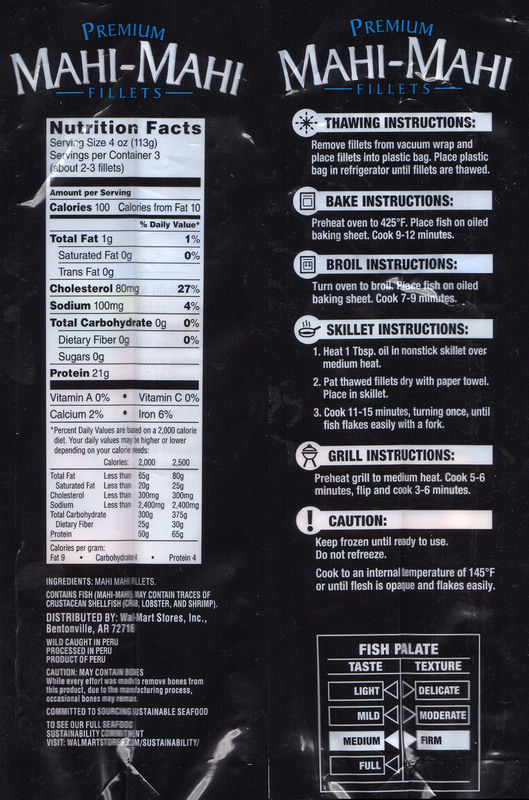 Are Walmart frozen Premium Mahi Mahi Fillets any good? Yes, they’re an excellent product! You’ll need to plan ahead by about 24 hours to defrost these, but once unfrozen they cook up fantastically. 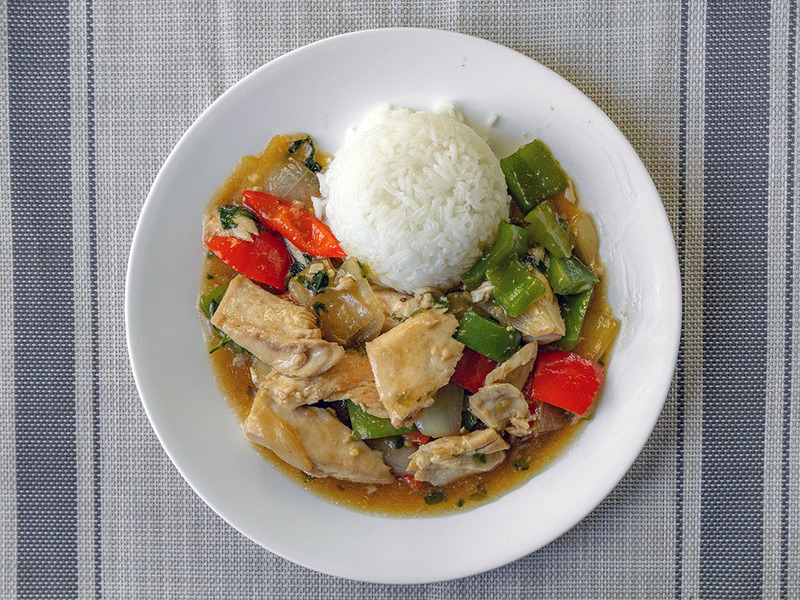 A firm white fish thats versatile in a number of dishes. If you’re like me, you’re always scouring the frozen food aisles looking for something that’s actually good. A quality product that isn’t junk and full of filler ingredients, salt and fat. A great frozen product is the savior of every home cook – something always to hand when supplies run low and a trip to the store just isn’t on the cards that day. 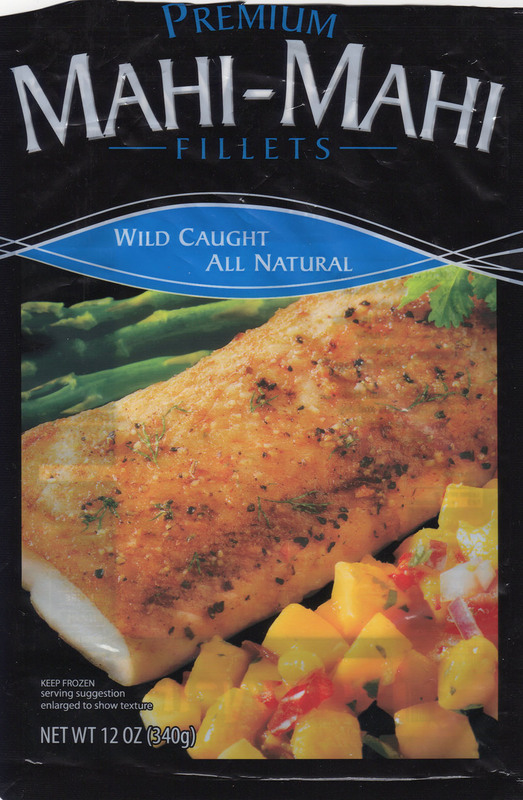 These mani-mahi fillets from Walmart are exactly that type of product. I’m always somewhat leery of mega-corp fish products, especially frozen, but these are genuinely good. The packaging claims this fish to be wild (not farmed) and sustainably sourced which are two huge plus points for me. I think it’s critical we all do our best when spending our grocery dollars, to push companies in the right direction. Seriously, farmed fish often has little of its wild cousins nutrition, flavor or fun. I could wax lyrical on the issues of farmed fish. Moreover, as fish stocks are increasingly over fished, I’m more than happy to support sustainable solutions to the problem. For all the bad press Walmart gets, they actually do a lot in their supply chain to improve things like this. Taste wise, I was very impressed by these fillets. 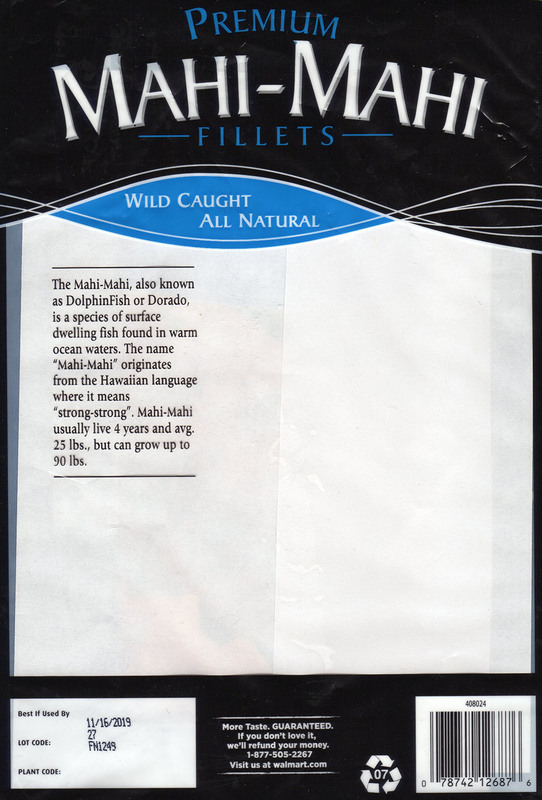 Mahi-mahi is a white fish with medium flavor; much stronger than something like halibut but less so than cod. 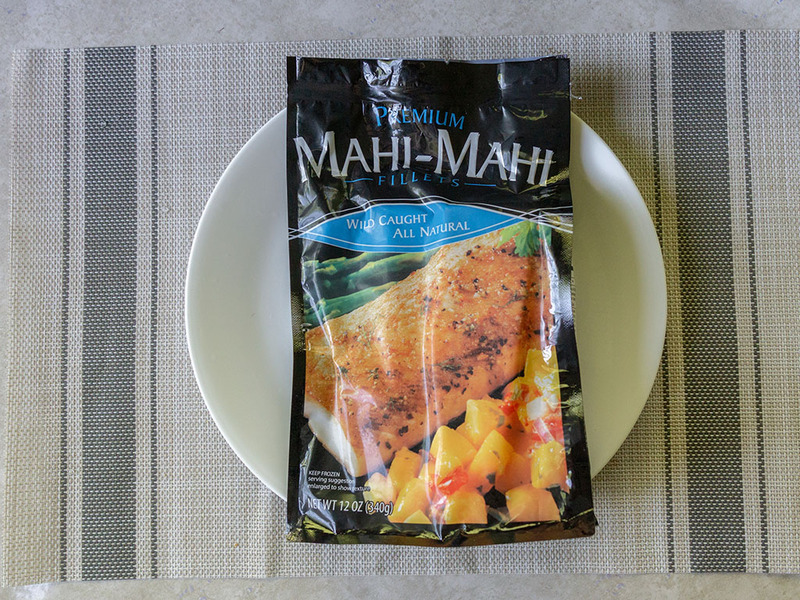 I like mahi-mahi as it can be used in so many dishes form Mexican to Indian to Thai. It won’t get utterly lost among really bold flavors. Of course we all prefer fresh over frozen any day of the week, but back to my original point, sometimes you just need a product on hand now. 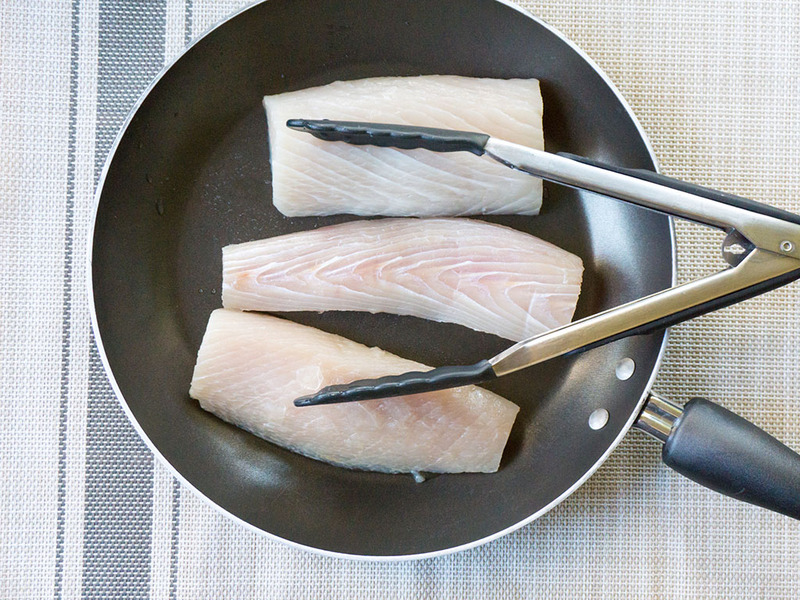 Getting these mani-mahi fillets ready to cook requires just a little pre-planning. 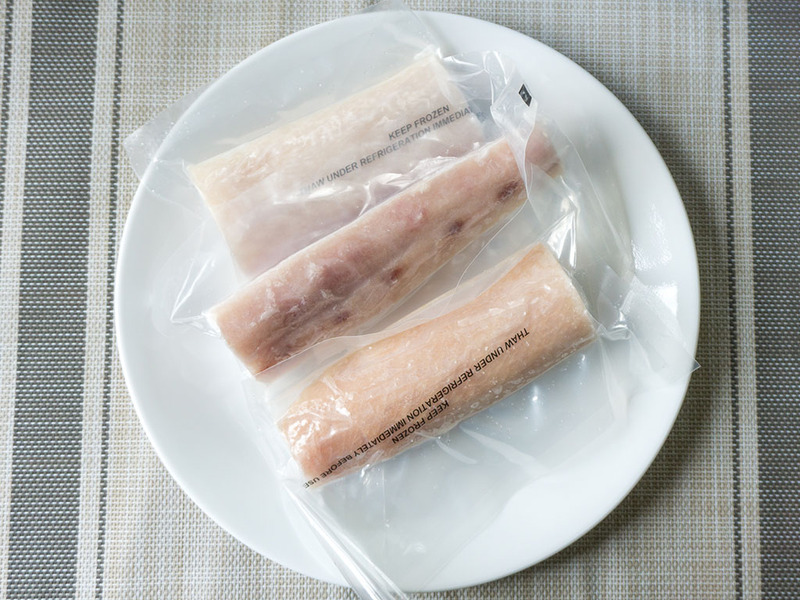 You’ll need to remove the fillets from their main bag, and then remove each fillet from its vacuum sealed wrapper first. From there, pop them into a bowl and leave in the fridge for at least 24 hours to defrost. I run my fridge pretty cold, so found closer to 30 hours or so was needed to really get them thawed out fully. Even then the fish still had the odd piece of ice remaining. Once thawed just pour off any liquid from the defrosting process and pat them dry. At this point you’re good to go with a variety of cooking methods. Mahi-mahi is has a firm, meaty texture so can happily support more aggressive cooking techniques – throw it on the BBQ if you like! If you’ve thawed the fish correctly it will cook quick quickly too. The product comes with three individually vacuum sealed fillets, de-skinned and de-boned. You don’t have to do anything but defrost them and cook. The single portions also makes the product great for portioning out if you’re only cooking for one for example. Whatever Walmart asks, since this a Walmart only product. Just kidding – I’ve only ever seen this for $9.67 so far. This is a great price in my mind, three fillets makes a generous meal for two, but can push to three. The quality is great and frozen it will last for a long time. If you see it much lower than ten bucks, this would be a steal. 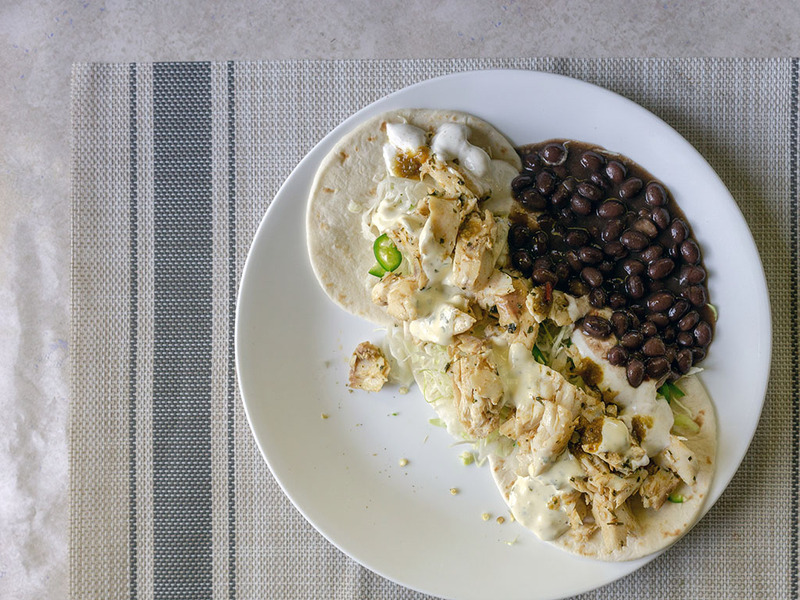 One of my very favorite dishes, especially in Spring and Summer is fish tacos. 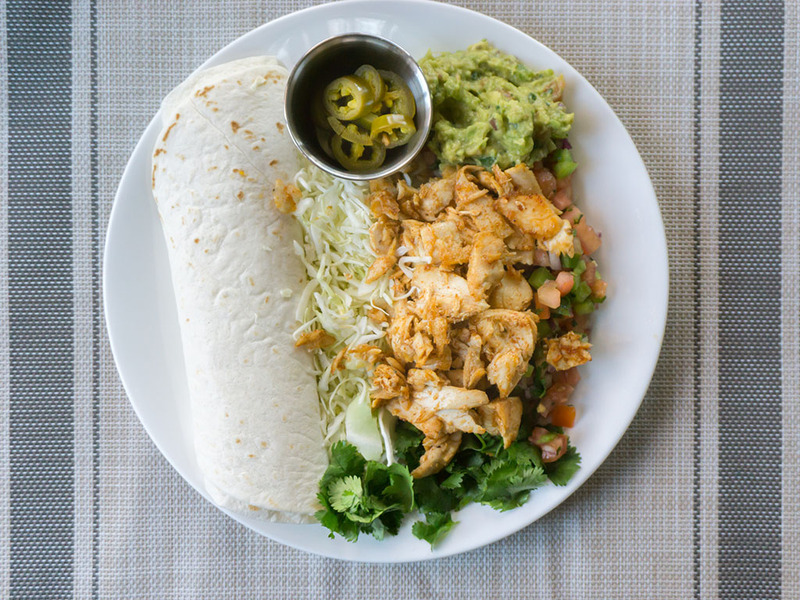 Mahi-mahi is an exceptional choice for fish tacos given it’s meaty texture; it will withstand fairly aggressive pan cooking not to mention assertive flavors. Here’s an example of a fish taco plate I made with this product served with tortilla, cilantro, home made guacamole, homemade pico de gallo and pickled jalapeños.